– UK 400 hurdler Jack Green talking about how he’s come back from injury and depression to achieve Olympic selection. Andrew Wheating was a 3:30 1500 runner when he visited these forums - Now he's stuck at 3:38. 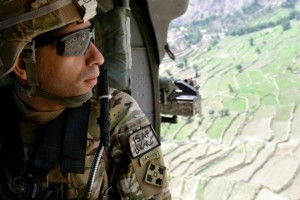 Please come back!! Do you guys really use sunscreen everyday? 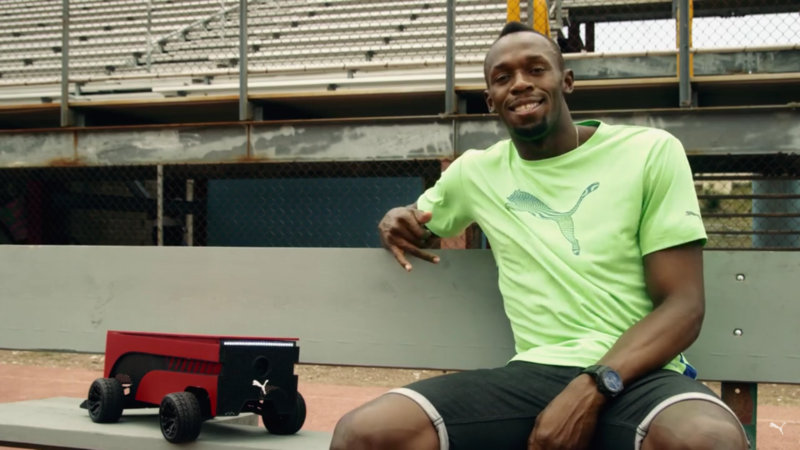 Could Lebron James run sub-60 for 400m? Why does Brooks sign ex Nike people? IAAF Recap: Brendon Rodney Shocks With A Sub-20 200 (19.96) To Beat Andre De Grasse (3rd) De Grasse won the 100 in 9.99 as Melissa Bishop broke the meet record with 1:59.32. Brandon McBride won the men’s race by almost a second in 1:45.25. In the men’s 1,500, Charles Philibert-Thiboutot beat out Justin Knight and Nate Brannen and Gabriela Stafford beat out Nicole Sifuentes. 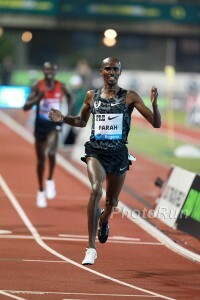 Mohammed Ahmed won the 5K with Cam Levins only 7th. Canada Names Their Olympic Team We’re happy to see they named Lanni Marchant in both the 10K and marathon. Levins not named in either the 5K or 10K even though he had the standard in both from last year. LRC The Rest Of The Meet: Felix Loses A Chance To Make History, Dalilah Muhammad Makes History, Sydney McLaughlin Arrives, And Kerron Clement Re-Arrives Allyson Felix‘s quest for history is over before it really even began. Felix wasn’t the only one to have a bad day as Johnny Dutch also failed to make it to Rio. The news wasn’t all bad as in the women’s 400 hurdles, HSer Sydney McLalughlin made Team USA and Dalilah Muhammad set a new US championship record. 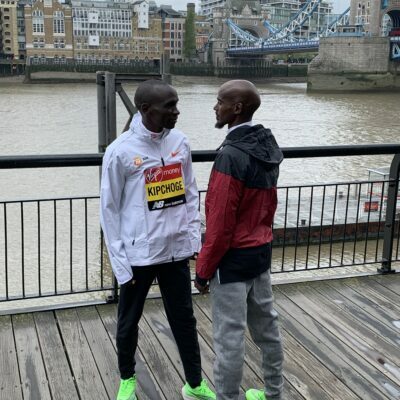 LRC 41-Year-Old Bernard Lagat Wins Crazy Men’s 5,000 At 2016 US Olympic Trials (Updated) Father Time took a blow from the majestic Bernard Lagat, who blitzed a 52.82 final 400 to go from 6th to 1st and book his ticket to a 5th Olympic Games. 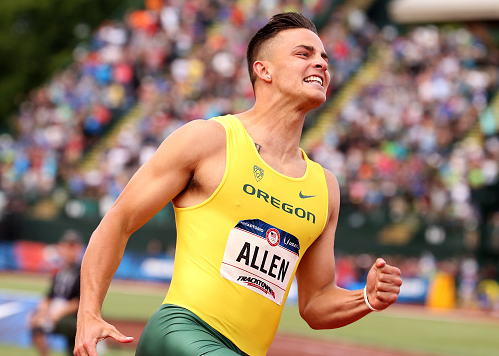 College Football Star Devon Allen Going To Rio, Aries Merritt Not Merritt thought he finished 2nd, less than a year from a kidney transplant, but the photo showed him to be 4th. BERNARD MF LAGAT !!! 5th Olympic Team 41 years OLD! Smoked those kids down the home stretch Lagat has won the 5k. 2020, Ben True will be back for REVENGE. 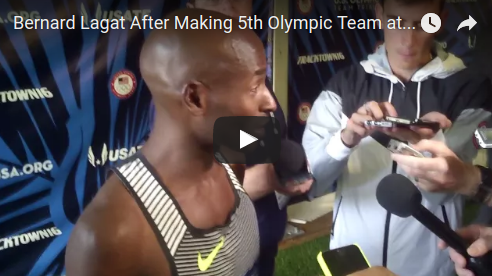 Will Lagat own Rupp one last time? Dan Browne BEST COACH EVER?!!! Noah Lyles HSR 200m 20.09!!!!!!!! Looking Ahead To Sunday: LRC US Olympic Trials Women’s 5,000 Final Preview: With All Three 10K Olympians Doubling Back, Could 6th Place Be Going To Rio? Molly Huddle, Emily Infeld and Marielle Hall are all coming back from the 10k and all three have a good shot to finish top 3 in the 5k. Huddle has said she’s leaning against doubling in Rio, but Infeld and Hall haven’t committed, so Nicole Tully, Abbey D’Agostino, Shelby Houlihan et al. could finish fourth (or even fifth or sixth) and still go to the Olympics. Also if Marielle Hall makes it and does the 5,000 only, then maybe Kellyn Taylor will be an Olympian. LRC One For The Thumb: Evan Jager Wins His 5th Straight USATF Title (updated) Jager for the win, Hillary Bor 2nd, Donn Cabral rounding out the Olympic team. *There Was Little Joy For Jager In Win As Neither Of His Teammates – Huling Or Bayer – Made It With Him Donn Cabral also wasn’t happy with the way he ran. LRC 11 Minutes With Evan Jager After He Wins the Trials Jager talks about the “pure speed” workouts he’s introduced, his goals for Rio, the women of Bowerman “crushing it” and more. *MB: Guess what? They’ve done it again. Officials needlessly put 13 people into men’s 1,500 final without a DQ!! LRC A Tremendous Women’s 1,500m Final Is Set As Jenny Simpson, Shannon Rowbury Cruise, And Former High School Stars Cain And Efraimson Advance The HSers Aragon and Murphy didn’t advance. Good Profile On Ryan Hill, Who Started Training Himself At 12 Years Old By Reading Running How-To Books Hill isn’t taking anything for granted and is preparing as if he isn’t making the team. Is Rowbury wearing a nose ring? Kate Murphy GOES HOME DEVASTATED!!! 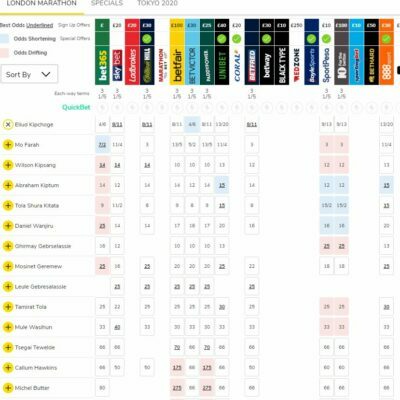 IAAF Day 3 Recap: Dafne Schippers Wins Second European 100m Gold In 10.90 Other winners included: “Turkey’s” Polat Kemboi Arikan (10K – 28:12), Mahiedine Mekhissi-Benebbad (steeple), GB’s Martyn Rooney defending his 400m title in 45.29, Ivana Spanovic (LJ). Recommended Watch: Cornell Alum Bruno Hortelano Finds Out He Was Upgraded From Silver To Gold In Post-Race Interview Hortelano won in 20.45 after the Netherlands’ Churandy Martina was DQed. 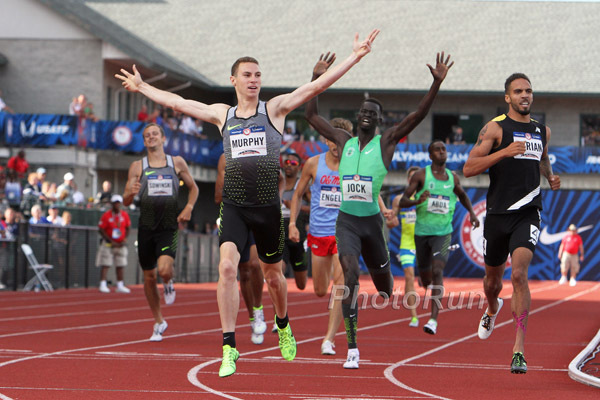 LRC Clayton Murphy Wins Men’s 800 At 2016 US Olympic Trials As Boris Berian And Charles Jock Punch Their Tickets To Rio There were three first-time Olympians in the men’s 800 as former Akron star Clayton Murphy got the win over world indoor champ Boris Berian. IAAF Final Day Recap: Poland Goes 1-2 In The 800 As Adam Kszczot Wins In 1:45.18 Last year’s 1:42 sensation Amel Tuka (1:45.74) and France’s Pierre-Ambrose Bosse (1:45.79) were back in 4th and 5th. Germany’s Gesa-Felicitas Krause dominated the steeple in 9:18. Gianmarco Tamberi took the HJ in 2.32m, Llias Fifa lead Spain to a 1-2 finish in the 5K. 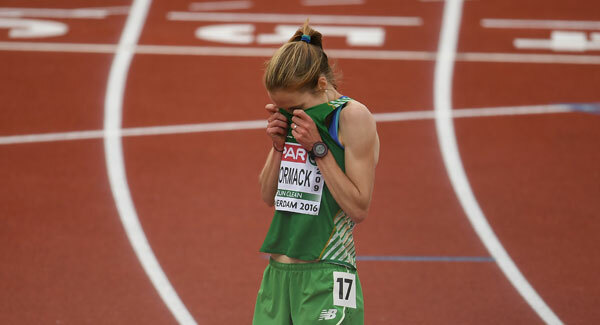 Poland’s Angelika Cichocka took the 1,500 in 4:33.00 over Sifan Hassan (4:33.76). 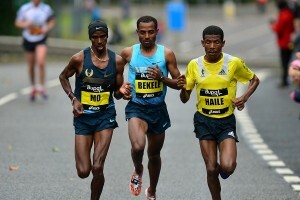 Sara Moreira (70:19) and Tadesse Abraham (62:03) won the half marathon. UK Men’s 4 X 100 And Women’s 4 X 400 Take Gold The Netherlands took the women’s 4 x 100 and Belgium men (with three Borlee brothers) the 4 x 400. British High Jumper Isobel Pooley Will Miss Rio Due To Ankle Injury After Failing To Make Euro Final A specialist told her she “would be made to compete” through it. European Athletics President Svein Arne Hansen Will Raise “Country Hopping” Issue With The IAAF Turkey is being accused of “buying” its way to success. IAAF Statement Apparently 136 applications from Russian athletes were received, but all were rejected. 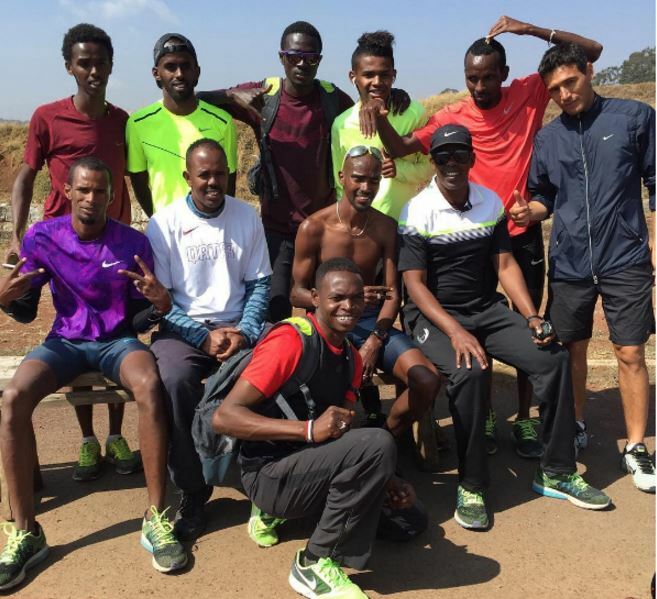 New ARD Documentary Alleges EPO Use By Kenyan And British Athletes In Iten Training Camp The report implicated Kenyan athletes and three unnamed British runners. The doctors featured in the documentary offering drugs to an undercover reporter have been arrested by Kenyan police. LRC Friday Sprint Recap: High Schoolers Michael Norman & Noah Lyles Steal The Show Again; LaShawn Merritt 19.74 WL; Brianna Rollins (12.34) Wins 100H As Keni Harrison Is Just 6th Both Lyles (20.26) and Norman (20.21, ahead of Justin Gatlin) won their semifinals, just as they won their first-round heats on Thursday. Rollins won a loaded 100 hurdles despite running part of her race in Queen Harrison‘s lane; Kristi Castlin and World Indoor champ Nia Ali join her on Team USA. A Look At The Olympians That Had To Use AthleteBiz.us And GoFundMe To Make It To Rio One is TJer Andrea Geubelle. LRC Emma Coburn Wins A Dramatic Steeplechase Final As Missourians Courtney Frerichs And Colleen Quigley Rally Late To Nab The Final Two Olympic Spots Coburn remains the queen of the steeple in the US but Courtney Frerichs (9:20.92) and Colleen Quigley (9:21.29) both came up big and PRed in the most important race of their lives to punch their tickets to Rio. 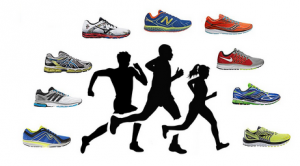 LRC Men’s And Women’s 1,500 Heats: Much Ado For Nothing As Nine Races Are Run To Eliminate Eight Athletes Will Leer was the biggest name to go home. Interviews with nearly all the 1,500 stars. 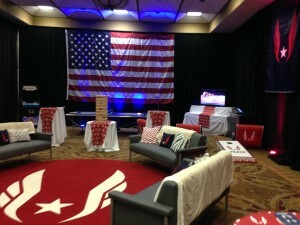 LRC Take The Tour: What’s It Like To Make Team USA? The sad truth is not everyone can achieve their Olympic dreams, but at least now you can get a glimpse of what it would be like to make Team USA. LRC US Olympic Trials Women’s 1,500 Preview: Simpson & Rowbury Should (Probably) Make It? Who Will Emerge In The Battle For Third? Brenda Martinez is doubling back from the 800. Morgan Uceny is the defending Trials champ. Cory McGee made the World Indoors team. Which one will step up? And how will 4:07 HS junior Kate Murphy fare against the pros? LRC US Olympic Trials Men’s 1,500 Preview: Can Anyone Stop Centro? And Will Anyone Else Get The Standard? Only five guys – Matthew Centrowitz, Kyle Merber, Ben Blankenship, Robby Andrews and Leo Manzano – have the Olympic standard. Unless someone runs faster than 3:36.20 this week, three of those five will be your team to Rio. LRC US Olympic Trials Men’s 5,000 Final Preview: Who Will Close Best In A Wide-Open Race? Ryan Hill is the defending champ but bombed in his only race outdoors. 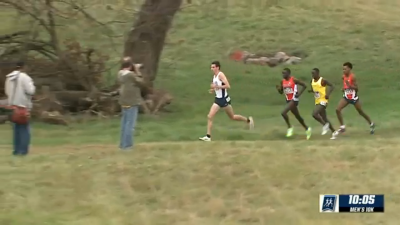 Galen Rupp looked shaky in the prelims. 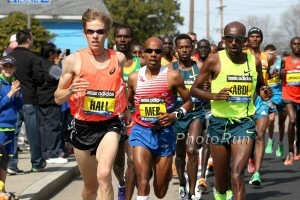 Ben True, Hassan Mead and Eric Jenkins all struggled in the 10k. 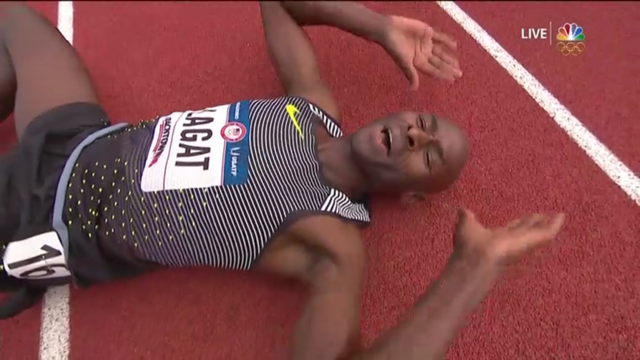 Bernard Lagat is 41 years old. This race is full of question marks, which makes for a compelling final. Full US Olympic Track And Field Squad Released – Five Individual Gold Medalists, 84 First-Time Olympians Are On The Team More will join Team USA once the IAAF extends invitations to those without the standard in the field events. Team USA: By The Numbers 4 team members are representing the USA for a 4th time – Allyson Felix, Shalane Flanagan, Meb Keflezighi and Chaunté Lowe. 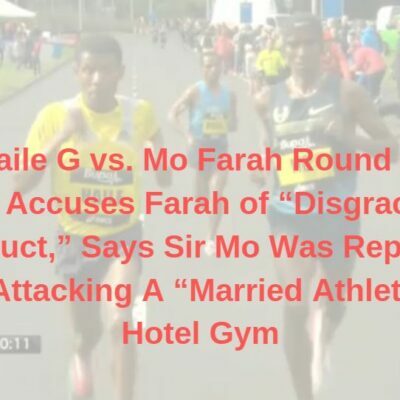 Aisha Praught, Will Leer’s Fiance, Makes Team Despite Not Running The 1,500 Trials She had a good excuse – they were cancelled as there weren’t enough entrants. Jamaica Leaves Off National Record Holder In Discus, Jason Morgan They feel that he only throws well at an obscure early season meet in the US every year. 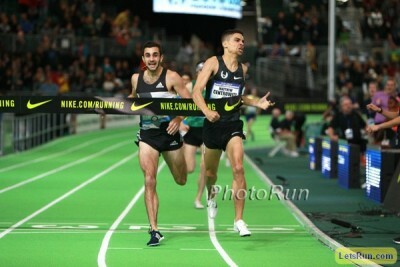 M1,500 Matthew Centrowitz Delivers Again As Ben Blankenship Gets Revenge By Edging Leo Manzano For Final Olympic Spot (article updated) Centrowitz (3:34.09) took down the U.S. championship record in a fast race as Robby Andrews took second (3:34.88). Just as in 2015, it was Blankenship and Manzano battling to the finish, with Blankenship turning the tables for third in 3:36.18 to Manzano’s 3:36.62. LRC W1,500 Women’s 1,500m: Jenny Simpson Wins Convincingly, Rowbury 2nd, And Brenda Martinez Makes It To Rio (article update) The real drama here was for third. Brenda Martinez got the storybook ending she wanted as former world #1 Morgan Uceny came up just short in her own bid for redemption. 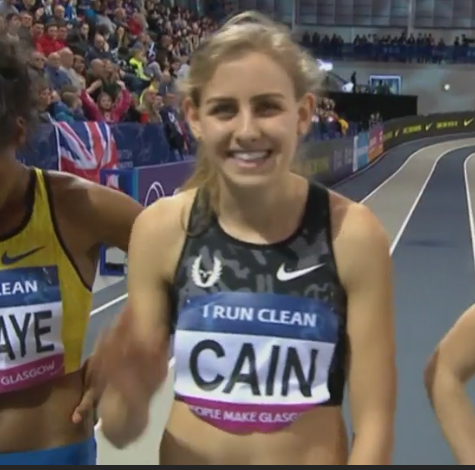 LRC W5,000 Molly Huddle Completes 10k/5k Double; Shelby Houlihan, Kim Conley, Abbey D’Agostino Going To Rio (article updated) Huddle was dominant as Houlihan and Conley took 2-3. Huddle and 4th placer Emily Infeld are only doing the 10K, so 5th placer D’Agostino gets a ticket to Rio. Will Ben Blankenship get DQ’d? The results are now final. Ben Blankenship TROLLS Manzano down home stretch for 3rd! IAAF Day 4 Recap: Yasemin Can, Pole Vaulter Ekaterini Stefanidi And Javelin Thrower Tatsiana Khaladovich Impress Can completed the 5K/10K double by winning the 5K in 15:18. 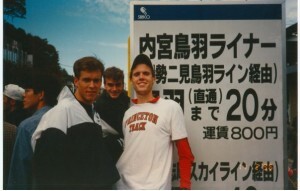 In the 1,500, Norwegian brothers Filip Ingebrigsten and Henrik Ingebrigsten won gold and bronze. Ukraine’s Nataliya Pryshchepa won the 800 (1:59.70). MB: Alexi ‘Greek Goddess’ Pappas DFL in Euro 5K champs. Hopefully the Greeks cut her from the team. Rita Jeptoo Apparently Hung Up On In Middle Of CAS Court Case She Was Calling Into – Denies It Was Deliberate They are trying to increase her doping ban from 2 to 12 years. LRC High School Sprinters Noah Lyles, Michael Norman Lead 200m Qualifying, Sydney McLaughlin Impresses Lyles and Norman won their heats easily and moved up to #2 and #3 on the US high school all-time all-conditions list with 20.04 and 20.06. McLaughlin ran 55.46 for the second-fastest time of the day. Register-Guard: Keturah Orji Cruises To Women’s Triple Jump Title Christina Epps got the standard on her second-to-last jump, meaning that the US will send a full TJ team for the first time since 1996. Cornell’s Rudy Winkler Wins Olympic Trials Hammer Throw Winkler won in 76.76m, just short of the 77m qualifying standard, but he hopes to get an IAAF invite for his position on the world descending order list. Amber Campbell Wins Women’s Hammer, Breaking The Meet Record Twice Campbell made her 3rd Olympic team. Javelin Thrower Haley Crouser Hopes To Join Her Brother Sam And Cousin Ryan In Rio Sam (javelin) and Ryan (shot put) are already qualified. LRC Absolute Madness In The Women’s 800: Alysia Montaño Falls Down In Tears As Kate Grace Wins A Wild Race A tangle of limbs on the final turn saw Brenda Martinez lose her momentum and Montaño fall to the track. Grace took advantage, riding the rail to victory in 1:59.10 as Ajee Wilson (1:59.51) and Chrishuna Williams (1:59.59) joined her on Team USA. Molly Ludlow missed out by an agonizing .04, taking 4th in her second consecutive Trials. LRC Video Of Women’s 800m At The Trials: Chaos At The Trials Yale’s Kate Grace FTW. Video also in our recap above. MB: OMG: What happened in the women’s 800? Will they re-run the race?